We have seen countless cards create tons of iconic moments across the history of the Yu-Gi-Oh! TRADING CARD GAME. 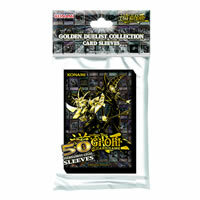 Whether it was classic ace monsters like Dark Magician, Blue-Eyes White Dragon, and Exodia the Forbidden One, or tournament-level cards like Rescue Cat, El Shaddoll Construct, and Nekroz of Trishula, or even forbidden cards like Yata-Garasu, Substitoad, and Number 16: Shock Master, everyone has their own personal favorites that symbolize their favorite Yu-Gi-Oh! moments. With so much awesome Dueling action, it‘s difficult to capture all of it in an accessory product… until now! The Yu-Gi-Oh! 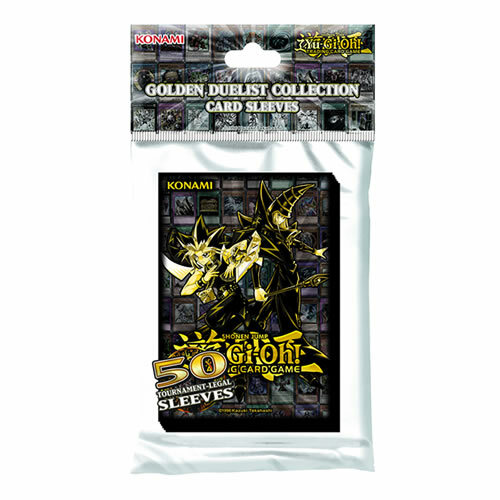 TRADING CARD GAME Golden Duelist Collection accessories showcase loads of iconic cards across each item, and to top it all off, the King of Games, Yugi Muto along with his ace monster Dark Magician in gleaming gold! • Features Yugi Moto and his Dark Magician in gleaming gold artwork. • Accessories showcase lots of iconic cards across each item. • Features an eye catching gold and black design.